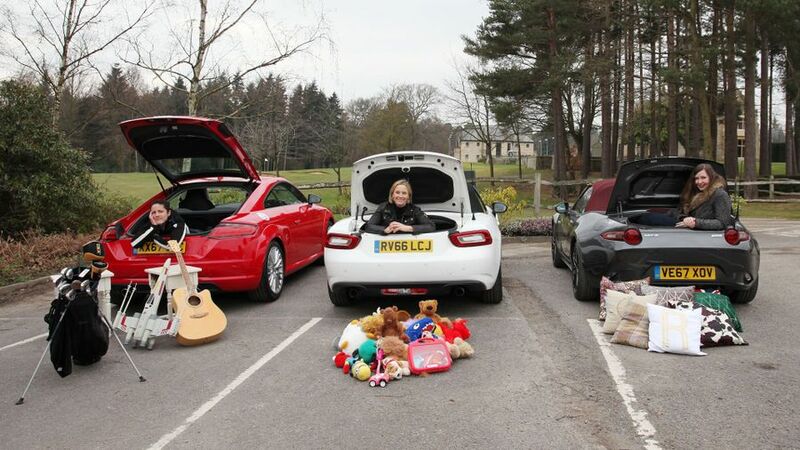 Millennial Rachael Hogg, mum Erin Baker, and racing driver Vicki Butler-Henderson (REV) are testing three of the UK's most popular small sports cars, based on how people search for them at Auto Trader, and with a monthly PCP price of around £200. Oh, and what 'litres' in boot space means in real terms... featuring a cameo from 15 scatter cushions, and a Millennium Falcon. This test features the UK's biggest selling sports car, the Mazda MX-5, the chic sister car to the Mazda, the Fiat 124 Spider, and the desirable and high quality Audi TT. Interested in buying a Mazda MX-5?